Crowns are sometimes referred to as caps because they are placed over your existing tooth like a small hat or crown. If you have a tooth that is cracked, broken or severely damaged from decay, a crown can provide extra strength and protection to keep your tooth functioning normally. Crowns can also improve the appearance and shape of your tooth, restoring the natural beauty of your smile. 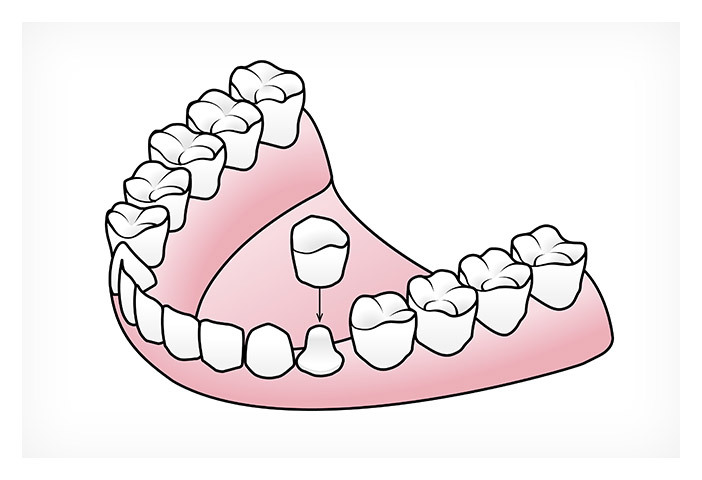 A crown is a hard cap that fits over your existing tooth and acts as a new outer layer. Crowns work differently from fillings because they protect the entire surface of your tooth, instead of just a portion of it. The cap completely covers any damaged or broken area, which adds strength to your tooth, eliminates pain and prevents further damage to your surrounding teeth. Not too long ago, crowns got their name because they were made out of gold. Today, your dentist can customize crowns for you using many different materials. For the back teeth, where a lot of chewing force is exerted, dentists will sometimes use stronger materials, like gold or metal alloys. 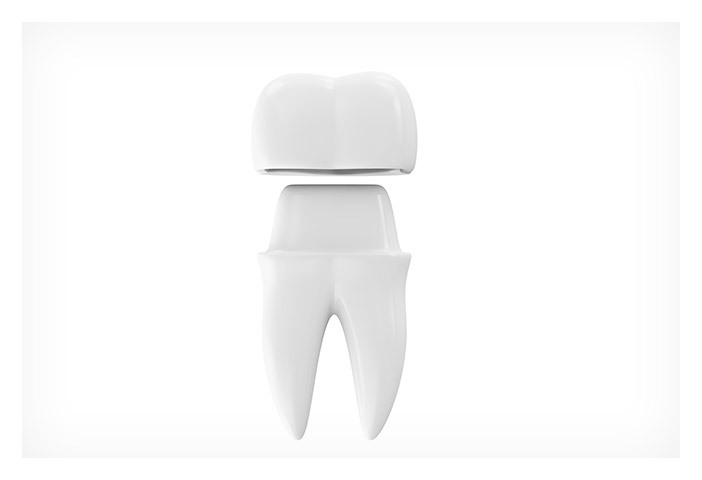 For front teeth, dentists usually use porcelain because it has all the translucency and luster of real teeth. With a beautiful, hand-crafted crown, your new smile will be brighter than ever! If you are wondering if a crown is right for you, please contact Dental Health Group for more information or book an appointment today!